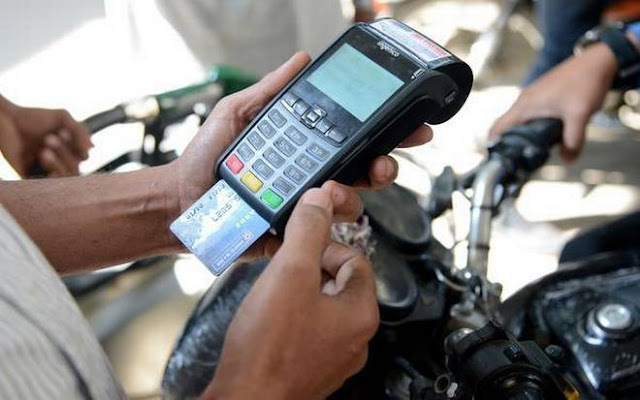 The petrol bunks across the country will stop accepting debit cards and credit cards for filling fuel from midnight on Sunday as banks will now debit a Merchant Discount Rate of 1 per cent from petroleum dealers, said President of All India Petroleum Dealers Association Ajay Bansal. Talking to reporters after a two-day State-level convention of petroleum dealers here on Sunday, Mr. Bansal said each petroleum dealer was operating with a profit margin of 2 per cent. On Saturday, banks referred to the Reserve Bank of India notification dated December 16 and said an MDR ranging between between 0.25 and 1 per cent will be deducted for each debit card transaction. An MDR of 1 per cent will be deducted for each credit card transaction. “We are operating on a very thin margin. We cannot afford this deduction. Hence we have no other go than stop accepting debit and credit cards,” Mr. Bansal said. When pointed that the dealers are going against government directions, Mr. Bansal said they have no other option. Mr. Bansal said the decision to stop accepting debit and credit cards had been conveyed to Petroleum Ministry and Finance Ministry officials, he said. Mr. Bansal said petroleum dealers will however accept payments through Paytm and Bhim apps. “But we have to stop accepting Paytm if they impose charge for each transaction,” he said. There are as many as 28,000 petrol bunks where Paytm was being accepted. Mr. Bansal said the petroleum dealers are in favour of Central Government’s move towards cashless transactions. “But we cannot afford to pay from our margin. We want our profit margin (of 2 per cent) intact,” he said.